Dr. Denis Nagy was born in Saskatoon, Saskatchewan. The son of a geologist, he relocated with his family to Adelaide, South Australia for 10 years and then returned to Canada, settling in the Yukon. Dr. Nagy attended the University of British Columbia, completing a Bachelor of Science in 1987, as well as a Masters of Science in Cleft Lip and Palate Disorders in 1992. He attended Case Western Reserve Dental School in Cleveland, Ohio, where he achieved a Doctor of Dental Surgery in 1997, followed by specialty training in the Oral and Maxillofacial Surgery program, completed in 2002. In 2001, Dr. Nagy also attained a Medical Degree through the Case Western Reserve School of Medicine. After graduation, Dr. Nagy spent one year as a Case Western Reserve University Clinical Associate Professor. Back to Canada, in 2003, he fulfilled his fellowship from the Royal College of Dental Surgeons of Canada in the same year, and started his membership in the Canadian Association of Oral and Maxillofacial Surgeons in 2004. He also has an affiliation with the British Columbia Cancer Agency. 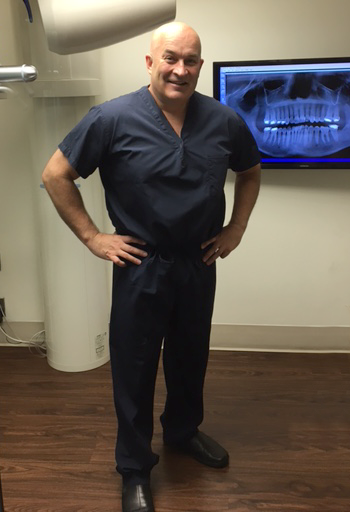 Dr. Nagy is a member and past President of the British Columbia Society of Oral and Maxillofacial Surgeons—a member of the Victoria and District Dental Society and the BC Cancer Agency. Dr. Nagy took over for Dr. Harreman in 2007, and Dr. Harreman retired in 2015 after an accomplished 50 year career in Oral and Maxillofacial Surgery. He now enjoys spending time with family and travelling the world. We still enjoy Frank’s occasional visits to the office. At Dr. Nagy Inc., we work with certified Anesthesiologists for all our sedation cases. All staff are informed administrative personnel, well-versed in health and insurance policies, and are ACLS (Advanced Cardiac Life Support) & CPR (Cardiopulmonary Resuscitation) certified. The surgical staff at Dr. Denis Nagy, Inc. are experienced, certified oral and maxillofacial surgical assistants, who assist in administration of IV, surgery and recovery.